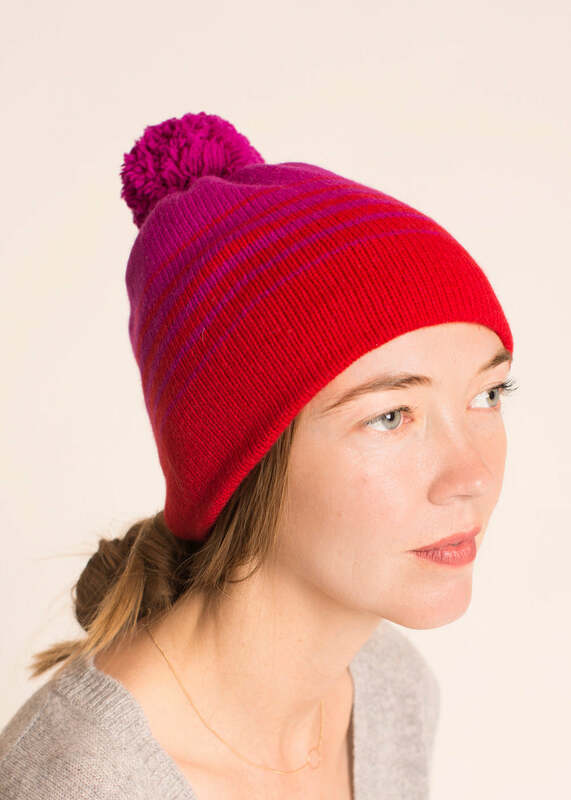 Nº 126: The Striped Performance Hat is a beanie comprised of two layers of 6 ply cashmere. We offer monochromatic striping schemes as pictured in the swatches. 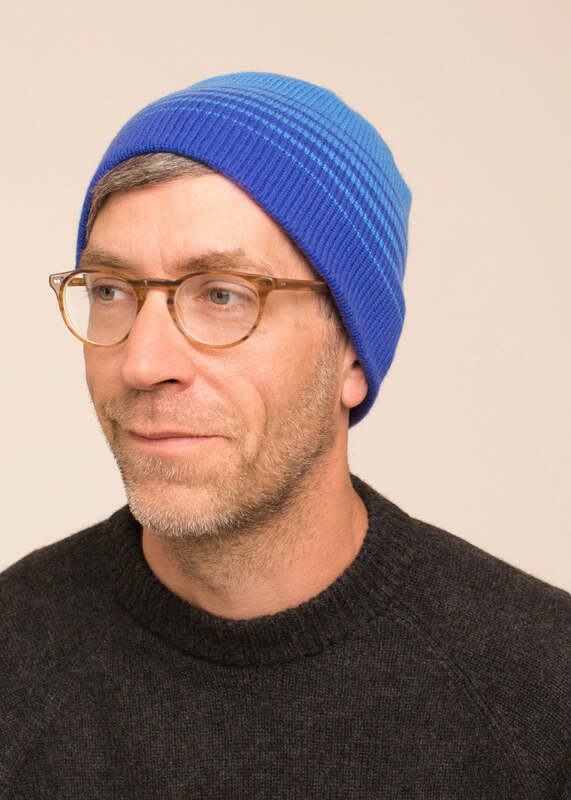 This hat is tested in the elements, a local favorite. Hand-seamed in Santa Fe, NM. POM-POM NOT included. Please add if you like.